Searching for the right tools right now can be a bit complicated because there are so many that are available. 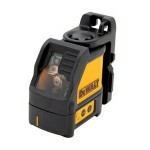 While some tools still remain the same, the tape measure is one of the tools that have been replaced in the tool box. Right now, people are using laser distance measurers. 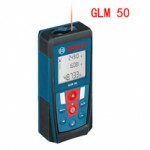 Searching for the right laser distance measurer can be easy for those who already have a clue about what they are going to purchase but it is possible that the main reason why you are reading this right now is because you cannot decide from four Bosch products namely the Bosch GLL2 – 40, GLL2 – 50, GLL2 – 80 and the GLL3 – 80. The names may seem so similar that they are already confusing but each product is different from the other. By the end of this article, you would have an idea about which one you should purchase. The Bosch GLL2 – 40 is sometimes thought to be the successor of the Bosch GLL2 – 50 but upon closer inspection, people usually realize that this is not the case at all. While there are some differences of the Bosch GLL2 – 40 from the other Bosch products, it would be wise to know its different advantages first. 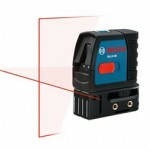 This laser is self leveling on both horizontal and vertical directions which means that it can fix itself up to 5 degrees from its inaccurate position. This can be a great advantage because people do not need to allot that much time to fix this item anymore whenever it is being used. The GLL2 – 40 is small in weight, size and height. Its measurements make it the perfect tool to use. Whenever people measure something, the height of the measuring tool has to be deducted as well. Since the GLL2 – 40 is small enough, deducting the height can be easy enough to do. 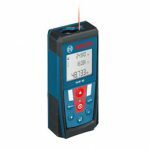 The GLL2 – 40 has an accuracy rate of +/-1/8 for every 30 feet which means that as long as people are within this range, it would be easy to see the laser measurement that is made by the laser. While the Bosch GLL2 – 40 comes with a wall mount, the wall mount does not move which means that every time a different type of measurement would need to be taken from another direction, the item would have to be taken down again and adjusted. This can take too much time for people who have a tight deadline. A lot of people are not aware that the Bosch GLL2 – 50 actually came first before the Bosch GLL2 – 40. Most people assume that it is the other way around probably because of the different features that it has. Knowing the various features of this product can help you make a decision. 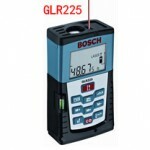 The Bosch GLL2 – 50 is considered to be bigger than the GLL2 – 40 but probably because of this, its laser measurement rate is better. It has an accuracy rating of +/- ¼ for every 100 feet. This is long distance already especially when measuring but the fact that the laser can still be seen is one great advantage. The wall mount of the Bosch GLL2 – 50 is adjustable which means that whenever there are some changes that would have to be made, it can be adjusted easily. 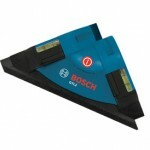 The housing of the Bosch GLL2 – 50 can keep it protected from dust and water. This is essential not only when the tool is being used but also when travelling. It can keep the product safe and sound. The laser lock mode feature of the product may seem like a dream come true for people especially since it means that the lasers will be locked into place for a certain period of time but it seems that this product is not working that well with this product and this can be a disappointment especially for people who are planning to purchase this product for that purpose alone. 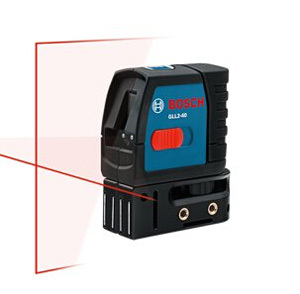 One of the features that can easily be noticed with the Bosch GLL2 – 80 is that it has two beams that almost seem like one line. This is actually a single laser beam that is split into two. The laser is usually one of the things that people notice about the product immediately because it is so small yet so powerful. 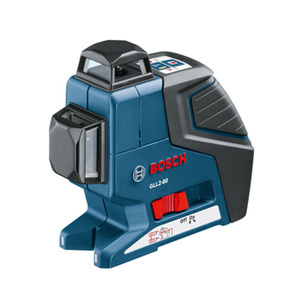 There is one mode of the Bosch GLL2 – 80 that will allow the laser beams to be locked in place. This is essential especially during those moments when you are alone and you would have to do the measuring on your own. You do not have to worry about the inaccuracies that might occur simply because the laser beams cannot be held. The Bosch GLL2 – 80 unlike the GLL2 – 40 and 50 has an alarm. At this point you may be wondering what the alarm is for. What it does is it makes sure that you will not automatically turn on the item especially during important situations. 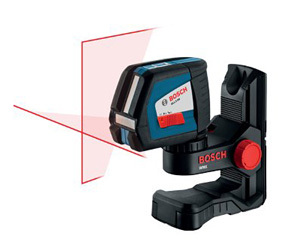 The Bosch GLL2 – 80 has two different screws that can be used for the tripod mount whenever there is a need to place the item on the tripod to gather more accurate readings. The main disadvantage of the Bosch GLL2 – 80 is its on and off switch. With the other products mentioned above, turning the products on and off can be easy because the button is soft to touch but this is not the case with this product since it can take some time before the button can be pushed. Keeping the item steady in the process can be challenging too. When it comes to all of the lasers, a lot of experts say that the Bosch GLL3 – 80 is the best out of all the ones that are mentioned above. While there are some who may beg to differ, do remember that knowing the advantages of the product can be the best way to determine whether this is really the best laser for you. This tool has a laser in almost all areas. It has a laser on top, a laser on the side and even in front. This can make it very easy to use especially during those times when a lot of lasers are needed. This feature like the ones mentioned above also has a lock mode which means that the moment that the product is turned off, it will turn into lock mode. This will make the unit safe. Unlike the others though, the case that comes with this model has a lot of foam keeping the product protected even when travelling is a bit bumpy. One of the things that you search for when looking for the right tool is accuracy. While the lasers that are mentioned above are also accurate, you can never go wrong with the GLL3 – 80 since its accuracy is +/- ¼ for every 100 feet. It is quite evident that the different products are all good. For professionals and those who would like durable, accurate, well featured lasers, the Bosch GLL3 – 80 might be the best laser to try out but of course, the other lasers that are mentioned above are not bad too. This will all depend on what you are searching for and the particular details you need to make choosing possible. 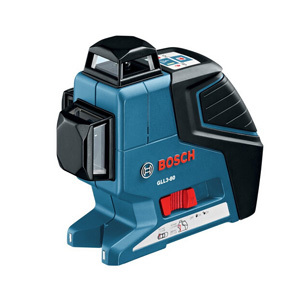 Click here to purchase Bosch GLL2-50 on Amazon! 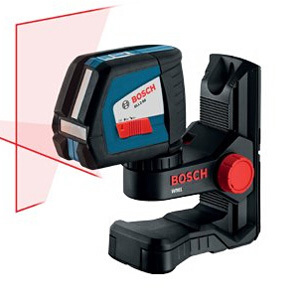 Click here to purchase Bosch GLL2-80 on Amazon! Click here to purchase Bosch GLL3-80 on Amazon!